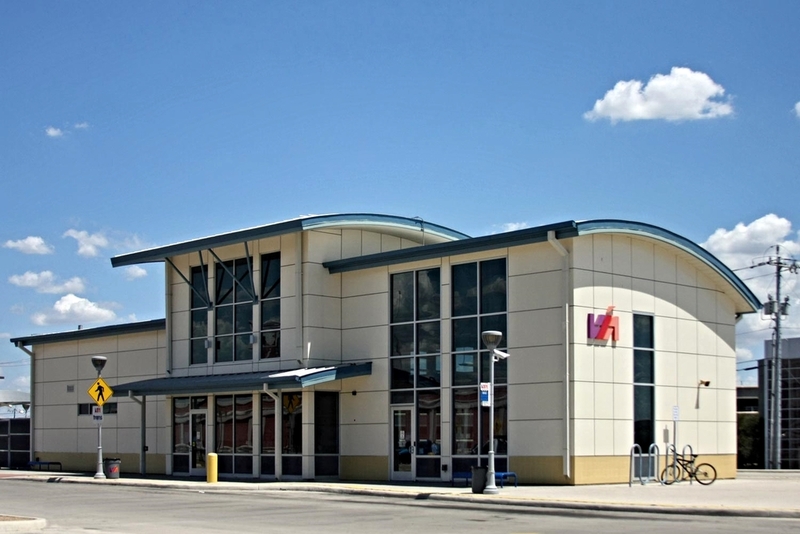 This modern and patron friendly facility, located in the vicinity of San Antonio’s premier NorthStar Mall, serves as a major transfer station. The building’s orientation was established to utilize the site’s natural amenities; north facing glass and controlled access from major roadways. From the curved roof lines to the fabric covered waiting areas, the design of this facility fits nicely with its prominent neighbors but is distinctive enough to have its own character.